Since opening our San Antonio Honda dealership’s doors in the 90s, we’ve seen some great Honda models come and go. Of course, there was the Honda Element, a fan-favorite SUV that was unceremoniously discontinued after just a single albeit long-lasting generation. There was also the Crosstour, a sedan that shared the same platform as the Accord. And let’s not forget about the Honda Insight – the Insight was actually the first hybrid car to be available in America – and its second-gen model, which was retired in 2014. But like a phoenix from the ashes, the Honda Insight hybrid has risen once again for 2019, and it looks like it’s going to stick around for a long while. Winner of the Green Car of the Year Award and a finalist for North American Car of the Year – you’ll note that is Car of the Year, not Hybrid Car of the Year – the 2019 Honda Insight is as gorgeous as it is efficient, safe as it is affordable, and one of the best hybrid cars in the country. Although many people appreciated the first- and second-generation Insight hybrids’ quirky yet endearing sense of style, there’s no debating that the 2019 Insight is much more refined. Slotted between the compact Civic and midsize Accord, the new Insight soars to great heights on its wide 106-inch wheelbase, stunning alloy wheels, and low-friction tires. The front end is very much charged by the Honda genetic code, with an elegant slotted grille that’s sandwiched between bright LED Daytime Running Lights. In the back, the Insight features a sculpted, swooping hood and windshield that’s emphasized by a dorsal fin antenna. Pop the trunk for 15.1 cubic feet of space. Set your sights inside the Insight, and you’ll find even more reason to believe it’s the best hybrid sedan in America. The cabin is spacious and well-appointed, with double-stitched leather accents, a bright instrumentation cluster, and an organized central stack headed by an 8.0-inch Display Audio touchscreen. Climate and volume controls are easy to figure out – there are knobs! – and integrated standard technology like a Mobile Hotspot, Apple CarPlay, and Android Auto put it ahead of most rivals. At the base of the stack, drivers have a pair of USB charging ports, access to an e-Brake, and ECON and Sport mode buttons. Utilizing a superb two-motor hybrid system — which is led by Honda’s high-voltage batteries and a 1.5-liter 4-cylinder engine that makes 151 horsepower — the 2019 Honda Insight returns a phenomenal 55 city/49 highway mpg. Electric-servo brakes, responsive power steering, and a low center of gravity only help to make the Insight drive silky smooth, as well. Best of all, every Honda Insight comes with a fantastic 8-year/100,000-mile Limited Battery warranty that covers any abnormal issues related to the high-voltage batteries. The pinnacle of automotive reliability, Honda has ensured their new hybrid car is as safe as possible. The 2019 Insight features standard Honda Sensing, which includes Collision Mitigation Braking System, Road Departure Mitigation, Adaptive Cruise Control with Low-Speed Follow, Traffic Sign Recognition, and Lane Keeping Assist systems. Also available or standard in the Insight: SmartVent Front Side Airbags, LaneWatch, auto high-beam headlights, and convenient LATCH locations. This whole array of safety features, in addition to an ACE frame, allowed the Insight to earn a perfect 5-star NHTSA safety score. Better yet, the 2019 Insight is one of the only hybrid cars to make it on IIHS’s short list of recommended Top Safety Pick+ vehicles. With a starting sticker price under $23,000, the 2019 Honda Insight is undoubtedly affordable for a hybrid car. And when you pair that MSRP with any available Honda Insight offers at our San Antonio Honda dealership, that price becomes even more mouth-wateringly low. 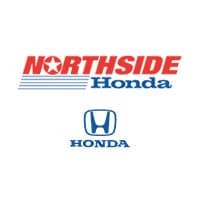 Come test drive the new Insight by visiting Northside Honda at 9100 San Pedro Ave in San Antonio, TX. From New Braunfels to San Marcos, our hybrid car dealership is the place Texans go to find the best deals on the best cars, no questions asked. Although, if you do have questions about the new 2019 Insight or any other new Honda models, feel free to ask them by calling our Honda sales team at (210) 944-1065. We’re here to serve. 0 comment(s) so far on 2019 Honda Insight: Is This the Best Hybrid Car in America?